A cleanse your body will give great efect! The lifestyle accepted in society today comes with its caveats: we rarely consume environmentally pure foods, we drink low-quality water and we breathe polluted air. With them come stress, anxiety, and sedentary habits. The food we eat contains antibiotics, hormones, GMOs and other chemicals used for stimulating faster growth in plants and accelerated weight gain in animals. Over forty thousend different chemicals continuously accumulate in our atmosphere. The high levels of chlorine – one of the most potent carcinogens known – in our drinking water double the risk of developing arteriosclerosis, heart and liver disease, andlead to premature aging. An American Medical Association study conducted at the University of Toronto by a team leadby Bruce Pomeranz revealed nearly two million cases of severe complications as a result of the toxic side effects of medicationas taken under strict doctors’ orders. These factors lead to the gradual accumulation in the body of slag and toxins that lead directly to acute health problems. The conditions arising as a result are perfect for the rapid multiplication os disease-causing viruses and bacteria, preventing reductive-oxidative reactions from occurring normally, impending the absorption of vitamins and minerals and reducing th function of the nervous, endovrine and immune systems, and slowing down metabolic processes, all of which are starting points for the development of serious illness. What is the source of slag and toxins? Slag and toxins are real substances that accumulate in the body as a result of the incomplete digestion and metabolism of food, but they can also originate from other environmental factors. 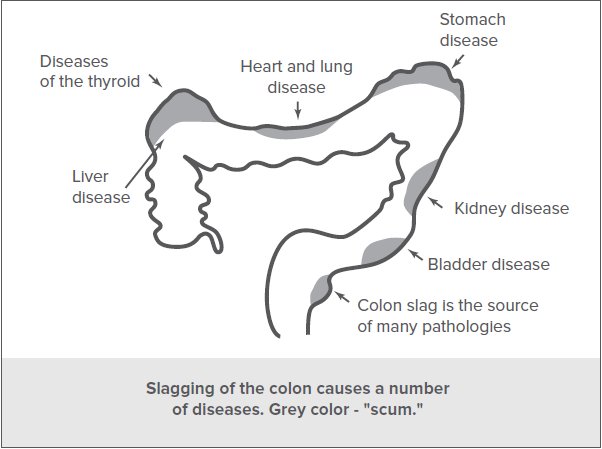 Slag accumulates within cells, in the intercellular space, tissue fluids (lymph), and on theintestinal walls in the form of ballast that weighs down the body and can accumulate in this manner for many years. As opposed to slag, toxins are more aggressive and quickly result in a feeling of general fatigue, irritability, sleep and appetite disruptions and decreased energy levels without any other obvious disease symptoms. for the most part, slag is made up of fat-soluble and acidic compounds, and is transported through the body as part of the lymph, whichcontains more fat than blood. At the same time, the lymph thickens in viscosity, and lymph flow is hindered along with its capacity to feed tissues and cleanse them of the waste products that accumulate as we go about our day. In addition to the lymphatic system, slag and toxins can also accumulate in cells containing lipid structures. The foremost examlpe can be found in the brain. As a result, the neurons fire more slowly and overall function is impaired. Protective mechanisms againstdisease and recovery processes following acute illness are held up, leading to diseases taking on chronic forms. These substances cause severe disturbances to metabolic processes and lessen energy output during physical or mental exertion and when fighting off infections. Because of this, even when no disease symptoms are presen, the body operates in starts and jolts and not at full strength, and when disease develops, intervention is required to achieve a full recovery. Sickness becomes chronic, pharmaceutical remedies are required, and even more slag accumulates. What happens when the body becomes slaggy? Cell respiration is negatively impacted by the surrounding slag, leading to a lack of oxygen and cell death. Disturbances in protein and enzyme synthesis and other body function regulators. Poorer absorption of vitamins, minerals and other nutrients, which leads to deficiencies even when the diet contains enough of them. The efficacy of medicines can be significantly decreased, while in some cases(at high enough doses) side-effects develop, which can present their own health dangers. The immune system weakens. 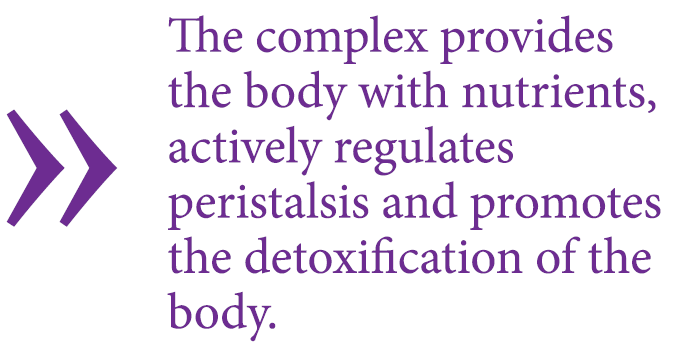 Toxins create blockages in the immune system by settling in cellular structures and accumulating there. The body stops seeing the slaggy cells as its own, and an immune reaction develops: leading to allergies, autoimmune disorders and immune deficiencies. Slagginess in the body results in the occurrence of many different diseases. 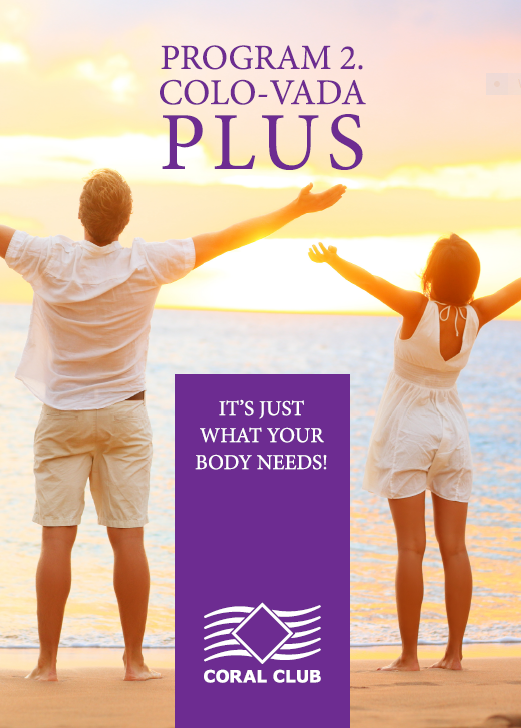 Is an effective complex program that cleanses the body and restores a healthy internal environment without disturbing your daily routine and without causing discomfort. Please talk to your doctor before following the program, especially if you suffer from chronic disease. How does a cleanse benefit me? Drinking fluids supplemented with Coral-Mine, along witg light herbal teas and fresh-made juice at all stages of the program will lead to better results, replenish your vitamin and mineral reserves and help keep you weel hydrated, whil removing slag and toxins. This period involves a group of products that provide the body with nutrients, actively manage intenstinal peristalsis and purge the body of toxins. Ultimate is a perfectly balanced group of minerals that compensates for nutrient deficiencies in food intake. Vitamin C is an antioxidant that protects the body from infections, strenghtens the body’s capacity to withstand the effects of the toxins secreted during the cleanse process. Cascara Sagrada is a natural laxative that regulates muscine tone and peristalsis in the large intestine, helping the faces move quickly through the colon, and keeping the stool soft and irritatin-free, it reduces fermentation and rotting processes in the large intestine. Black Walnut Leaves prevent amebicand protozoan infections and normalize gut function. Alfalfa is a general tonic that supports the body’s vitamin, mineral and protein balance, being a rich source of calcium, magnesium, phosphorus, potassium, iron, zinc, copper, sodium,sulfur and vitamins A (Beta-Carotene), C, D, K, E, and B-group. Combination 2 contains a complex of vegetable-based components with anti-parasitic and anti-oxidant properties. Colo-Vada Mix powder is one of the main components of the program that helps to cleanse the intestinal tract thanks to the vegetable fiber and porcelain clay, which acts as a sorbent, coats the mucous membranes of the GI tract absorbs not only toxins, slag and carcinogens, but also harmful bacteria, without harming the good gut flora. Psyllium seed husks become mucilaginous and expand when they absorb water, helping to increase stool volume and frequency of defecation, and to restore muscle tone in overly relaxed bowels. Prunes are a great laxative for chronic constipation. They act to scrape the mucous membrane walls of the intestinal tract, stimulating movement. Following the cleanse, the normal functioning of the digestive system need to be restored to its full processing capacity. During days 12-14, it is recommended that only raw or slighty cooked vegetables be eaten, along with small portions of protein-rich foods (eggs and meat). The combination of healthy food with complex enzymes and healthy bacteria helps to optimize and restore digestion and gut flora. DigestAble provides a balanced set of plant enzymes that help the body break down and absorb vital nutrients, normalizes the functioning of the entire digestive system, and reduces inflammatory processes in all of the organs of the GI tract. Mega Acidophilus should be taken throughout the entire cleanse along with other products. it contains lacto- and bifidobacteria, which help restore good bacteria, balance digestion and improve the absorption of nutrients, vitamins and minerals, protecting the body from micro-associated toxins and activates the immune system to fight off infections before symptoms develop.